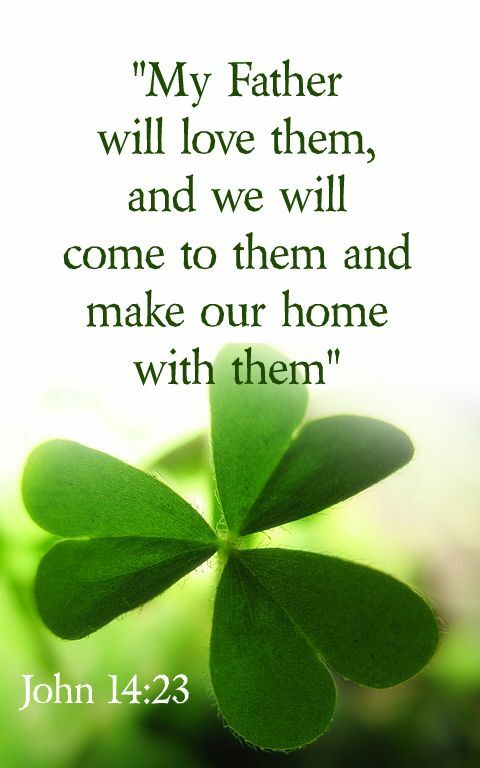 31 Jesus said to his disciples: Anyone who loves me will keep my word, and my Father will love him, and we shall come to him and make a home in him. 27 Peace I bequeath to you, my own peace I give you, a peace which the world cannot give, this is my gift to you. Do not let your hearts be troubled or afraid. 28 You heard me say: I am going away and shall return. If you loved me you would be glad that I am going to the Father, for the Father is greater than I. 29 I have told you this now, before it happens, so that when it does happen you may believe. Jesus’ farewell discourses in John’s gospel (John 13, 31 – 17, 26) highlighted what is foremost and deepest in Jesus’ life mission. To these disciples who would keep his love commandment (John 13, 31 – 35; 5th Sunday Easter) and had to face their future without their Master Jesus assured them he would be the Way to lead them to the Father (John 14, 6) and not leave them orphans (John 14, 18). Our Sunday passage narrates Jesus continuing this assurance by promising those who keep his word that he and the Father would love them and come and abide in them (v 23). In the context of Mediterranean societies Jesus continued to act as Broker between his Father the Patron for the disciples as Clients through the Holy Spirit sent in Jesus’ name. The Paraclete would thus function to continue Jesus’ abiding presence among his disciples by teaching and reminding them of what Jesus had taught. The first reading from Acts 15 (cf also Wednesday – Friday 5th Week Easter) narrates how the Holy Spirit guided Christians of the first century faced with their first major issue, circumcision of Gentiles who were included into their communities, such as Titus for instance (Gal 2, 1; 2 Cor 2, 13 and NJB footnote 4d). 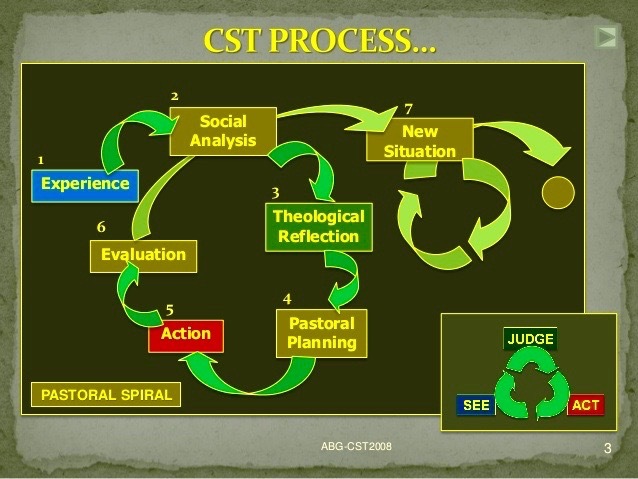 The framework of the pastoral spiral adopted by the Federation of Asian Bishops Conferences as the way of proceeding in all matters pastoral would help to elucidate the process Luke describes in Acts 15. Paul and Barnabas in concluding their first missionary journey (Acts cc 13 and 14) faced the issue of circumcision raised (Acts 15, 1). The Judaizing Christians among them former Pharisees (Acts 15, 5) cited Mosaic Law to demand circumcision as a religious practice (cf Lev 12, 3), although as a cultural and national norm circumcision was carried out since the time of the patriarchs (cf Gen 17, 10; Joh 7, 22). In view of this controversy a council was held in Jerusalem with the “apostles and elders” (Acts 15, 2. 6) to deliberate on the matter. Key figures in the Council spoke interacting their experiences within the broader narrative of their religious Tradition. Peter shared his experiences (Acts 10, 1 – 11, 18) of witnessing the gift of the Holy Spirit given Cornelius a Roman centurion and his household before he even baptised them. Based on the vision he received that no created fauna was profane, he insisted God did not distinguish among peoples and had no favourites. Likewise Paul and Barnabas narrated the “signs and wonders” God worked through them before the gentiles (Acts 15, 12). James who headed the church in Jerusalem then supported these arguments by citing (Acts 15, 16 – 17) the prophetic words of Amos (9, 11 – 12). In the course of interacting pastoral experiences with existing norms from Tradition and other sources Thomas Groome would pinpoint this moment as one inviting conversion among participants, in his approach of shared christian praxis. 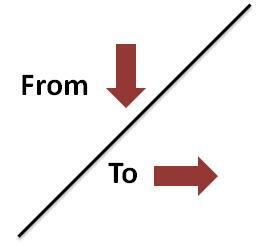 The shift in pastoral policy and action did come about as evidenced in the verdict pronounced by James (Acts 15, 19 – 21). The conclusion comprised rules pertaining to legal purity related to meats offered to idols, illicit marriages, strangled animals, and blood, as prescribed in Leviticus. Paul a chief protagonist in the controversy gave a slightly different account (Gal 2). On the issue regarding circumcision, Paul’s letter narrated that the “former council” in Jerusalem with the apostles and elders (Acts 15, 2 – 6) ended with what Reginald Fuller calls a “gentlemen’s agreement” with Paul heading the mission to the gentiles and the uncircumcised and Peter and others, to the Jews and the circumcised (Gal 2, 7 – 10). “However” (Gal 2, 11) as realities unfolded with Christian Jews and Gentiles partaking in the Eucharist together, another issue about legal purity arose. Paul narrated this during Cephas or Peter’s visit to Syrian Antioch (Gal 2, 11 – 14). Cephas’ change in “table manners” when leaders of James’ church arrived was rebuked by Paul. In resolving this second issue, it appeared a “latter council” in Jerusalem took place, very likely in the absence of Paul. Hence when Paul arrived in Jerusalem after his third missionary journey and visited James and the elders he was informed (Acts 21, 25) of the content of the apostolic letter regarding legal purity (Acts 15, 20. 29). These seeming disparities prompted the view that Luke could likely have telescoped the results of two such councils or meetings in Acts 15. What was concluded was more a compromise solution without burdening gentile converts with circumcision — which was not mentioned — but the legal restrictions on legal purity. The Church continues to face issues and problems in view of changing circumstances and rising human consciousness. Parishes and dioceses hold regular meetings of pastoral councils. in preparation for the Peninsular Malaysia Pastoral Convention in October this year. The Synod of Bishops on the vocation and mission of the family ended last year. We learn from the earliest Christians how they deliberated on their first major controversy by adopting what turned out to be a praxis approach advocated since time immemorial. In an age when the interplay of the charismatic and the hierarchical elements in the Church are ever needed, we continue to marvel at the manner in which earliest Christians had arrived at conclusions in their decision-making process (Acts 15, 28; cf 5, 32). Though Luke did not mention how it all came about it would not be amiss to note that what Jesus promised his disciples in his parting words in the Gospel did take place. 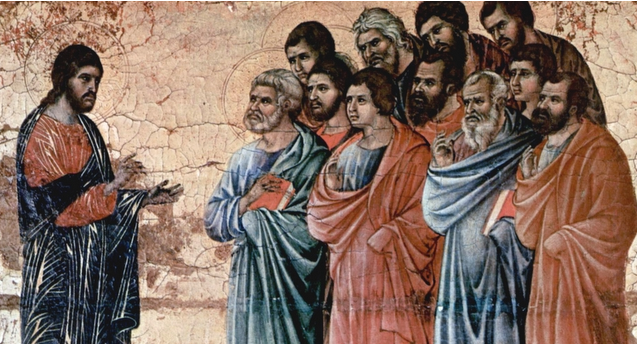 The Holy Spirit as Advocate continued to teach and remind the disciples of what Jesus had said and done in his life. Jesus’ miracles among gentiles and his message would have reminded the disciples in the Jerusalem council or councils of the universal salvation Jesus has come to reveal (Luke 7, 1 – 10; 10, 29 – 37; 13, 29). Reginald H. Fuller and Daniel Westberg, Preaching the Lectionary: The Word of God for the Church Today (Rev Ed). Liturgical Press 1984. Jerome H Neyrey, The Gospel of John. Cambridge University Press 2007. The New Jerusalem Bible [NJB]. DLT & Doubleday & Co, 1985. Jesus promised his disciples the gift of the Holy Spirit as their Advocate who continued to teach and guide the earliest Christians. 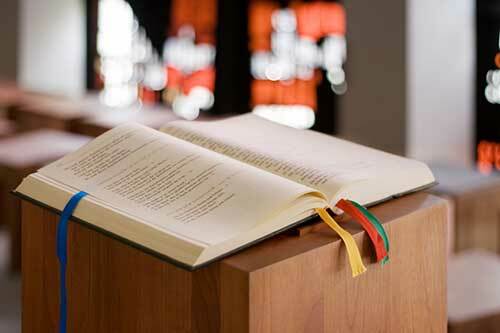 taking part in church processes of deliberating issues, at family, basic community, parish, or diocesan levels?